As much as you love munching on fresh fruit, making kids eat them is not child’s play. You try to sneak them into their lunchboxes, only to find them returning home with browned apple slices. 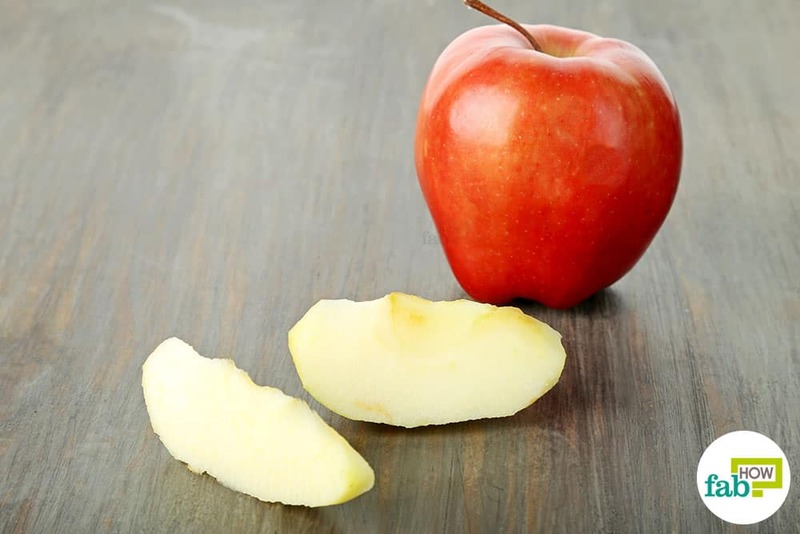 Pome fruits, such as apples and pears, are not very friendly to store once they’re cut. They quickly turn brown and become unappealing as they lose their crisp texture. And it’s not just the toddlers, even adults don’t get very excited about eating brown apple slices. Now before we jump into the ways to prevent sliced fruit from turning brown, it is important to understand what causes this phenomenon. Let us first increase our scientific IQ and flaunt it later. The browning results from an enzymatic process when the cut fruit is exposed to the oxygen in the air. 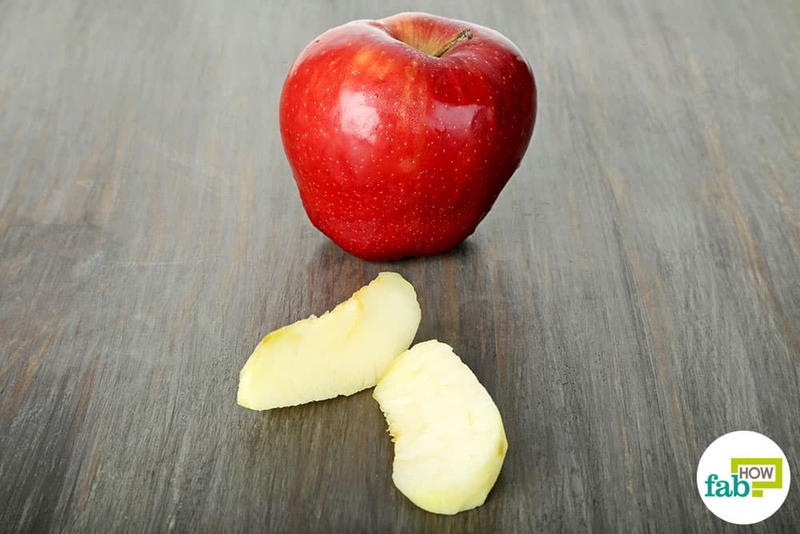 Apples and pears contain an enzyme called polyphenol oxidase that hastens the oxidation of the iron present in the fruit and makes them sort of ‘rust’. 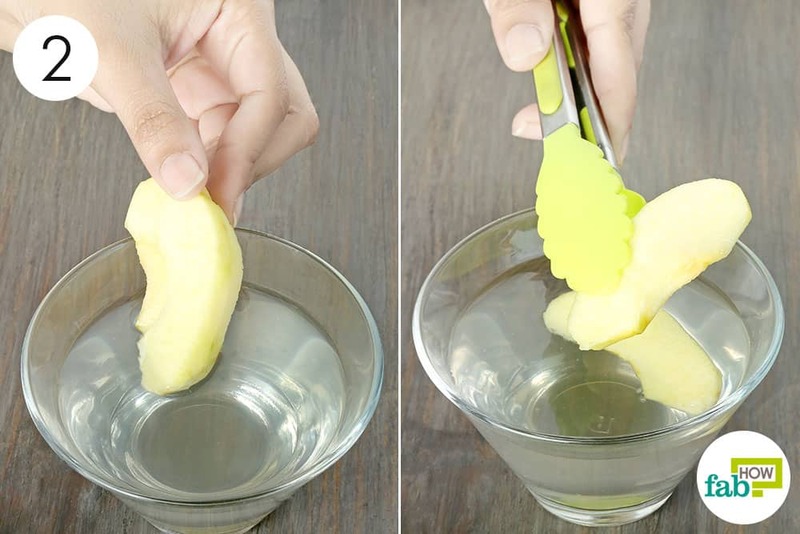 We tried our hand at all the popular methods found online and bring to you the seven best ways to prevent sliced fruit from turning brown. While salt water and lemon juice gave the best results and kept the fruit fresh for almost 24 hours, the others also performed quite well in keeping the freshness intact for up to 6 to 8 hours. 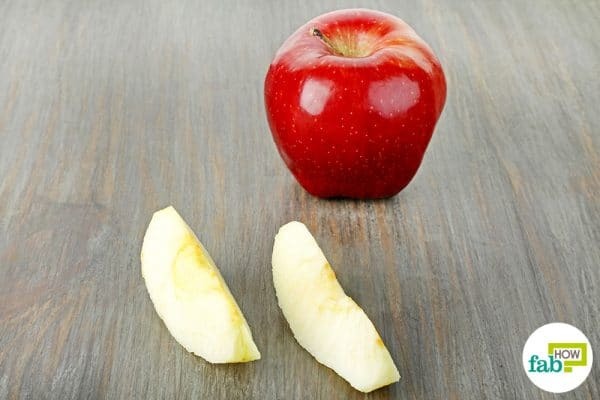 Read on to learn the right way to keep apple and pear slices from turning brown. Do share your results with us in the comments section. 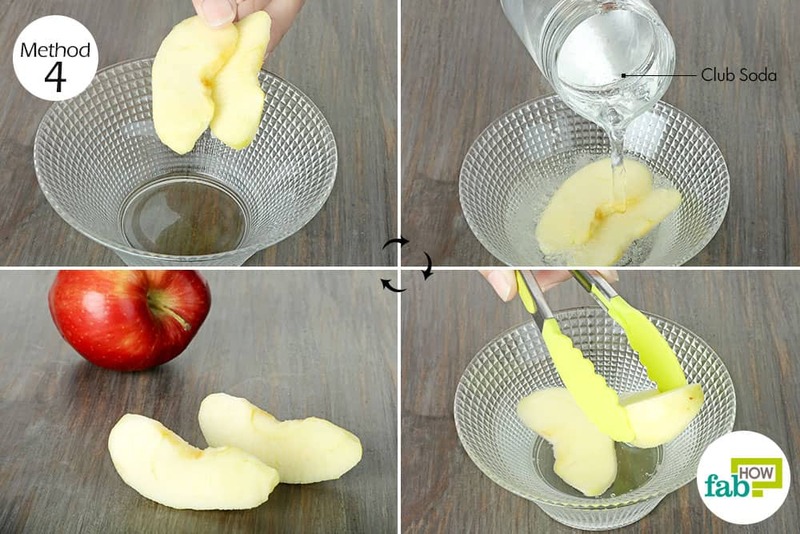 Salt water works the best to keep apple and pear slices from turning brown. The sodium chloride halts the oxidation process in the exposed cells of the fruit and thus prevents the browning. It also works the best in keeping the flavor and crisp texture of the fruit intact. However, don’t go overboard with the quantity of salt or you’ll end up with salty apple slices. Start with 2 cups of water in a glass measuring cup or bowl. Add ¼ teaspoon of salt to it. You can either use table salt or sea salt. However, sea salt is preferable, as it is less processed. Stir well to dissolve the salt completely. 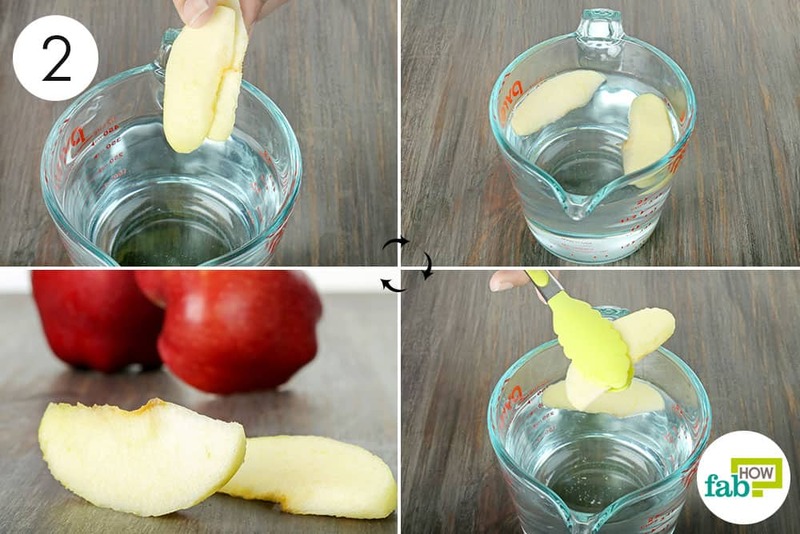 Drop the apple slices into the salt water. Make sure that both sides of the slices are fully submerged. Let the slices soak in the solution for 5 minutes. 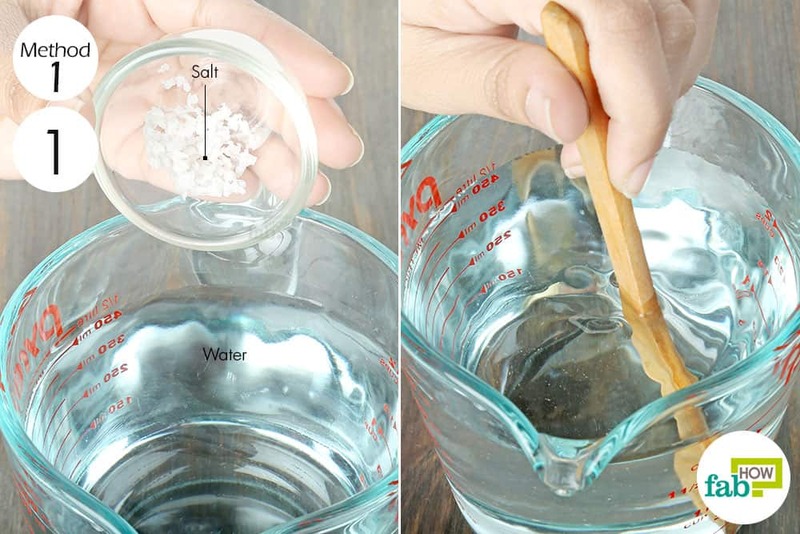 Use a pair of tongs to retrieve the slices from the salt bath. Put the treated slices in a ziplock bag, squeeze out all the air and seal the bag until needed. The slices will stay intact up to 24 hours. You can rinse them with water when you’re ready to eat them, or munch on them as is if you don’t mind the mild salty flavor. 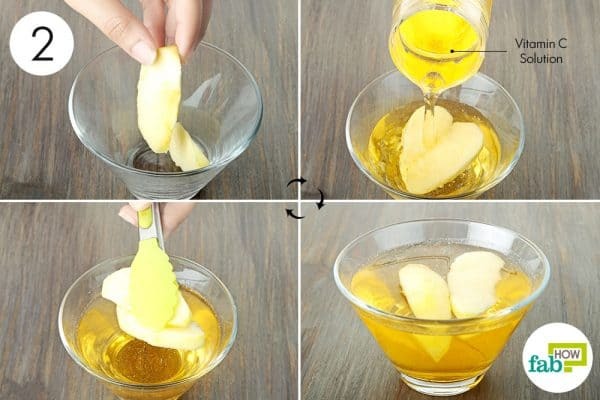 Honey also can be used to prevent your sliced fruit from going brown. Honey prevents the activation of the polyphenol oxidase enzyme in the cut fruit, thus preventing the resultant browning. Honey will also add a healthy sweetness to your apple or pear slices. Pour 1 cup of warm water into a bowl. 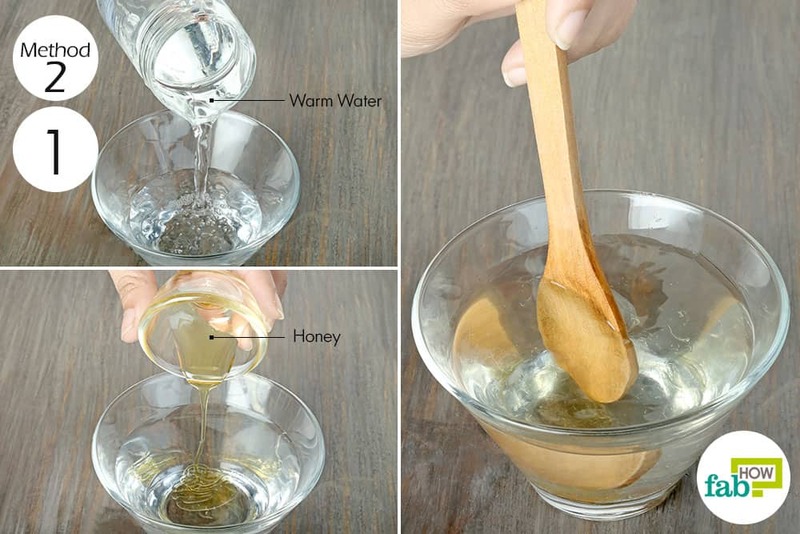 It’s best to use warm water, as the honey will dissolve more easily in warm water than cold water. 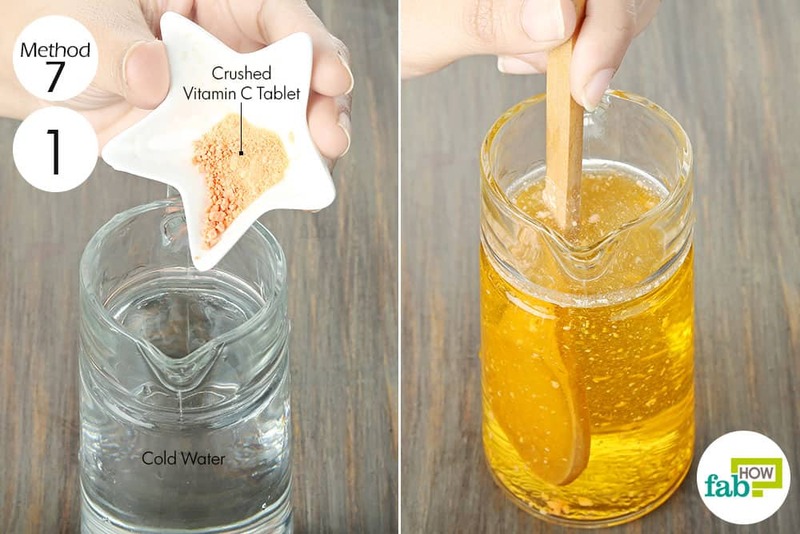 Stir well until the honey blends in completely. Drop the fruit slices into the solution for 30 seconds. Using a pair of tongs, transfer the soaked slices to another bowl or a ziplock bag to store them for later. The slices will stay fresh for up to 8 hours. Coating sliced fruit with lemon juice is a common practice followed by restaurants that use cut fruit in desserts and cocktails. The ascorbic acid present in lemon reverses the oxidation in cut fruit and thus keeps them looking fresh longer. While you can use the lemon juice directly on the fruit, the sour taste can be overpowering. 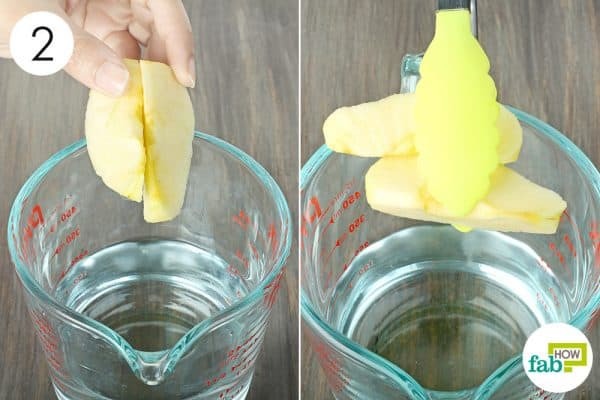 To counter this, dilute the lemon juice in water and then use it to prevent sliced fruit from turning brown. Add 1 tablespoon of lemon juice to 1 cup of water. You can also use orange juice instead of lemon. Stir well to blend the two liquids. 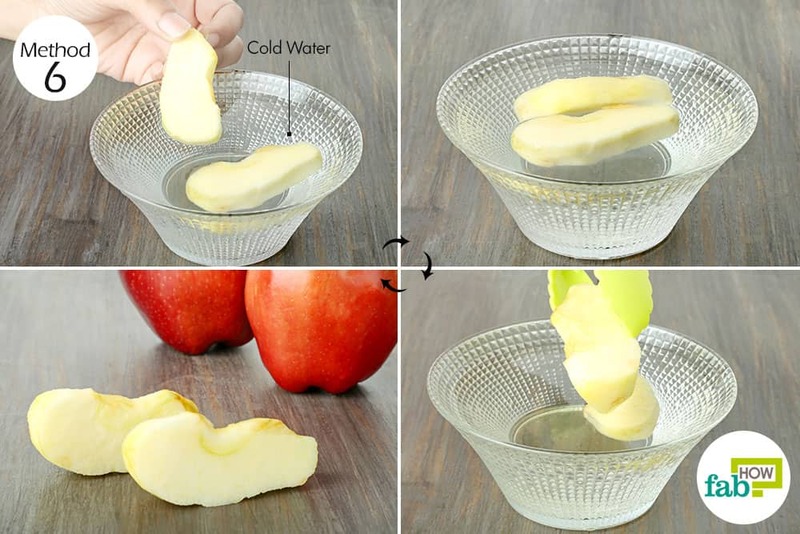 Place the sliced apple in a bowl. Pour the lemon water over the apple slices. 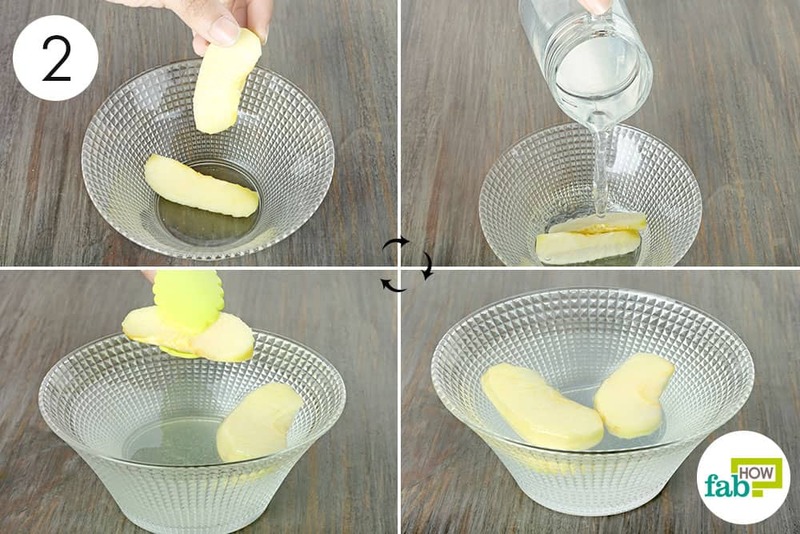 Remove the slices from the lemon water and store them in a ziplock bag or an airtight container. The slices will stay fresh for almost 24 hours. 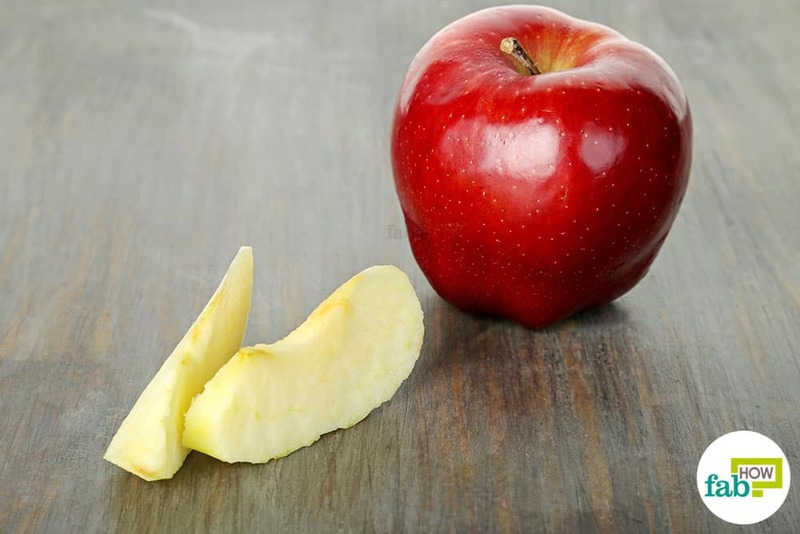 Plain soda or a carbonated drink, such as Sprite or ginger ale, can also keep apple and pear slices from turning brown. Club soda is the preferred choice, as Sprite and ginger ale contain sugar and artificial flavors that are not very healthy. 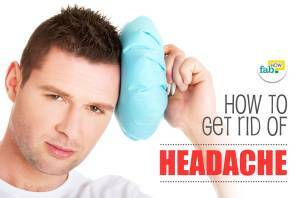 Whichever you choose to use or have on hand, all the three will work equally well. Place the fruit slices in a bowl. Pour club soda, Sprite or ginger ale over the fruit. Make sure that the slices are completely submerged in the liquid. Let them soak for 10 minutes, then retrieve the slices. Store the slices in an airtight container until you need them. 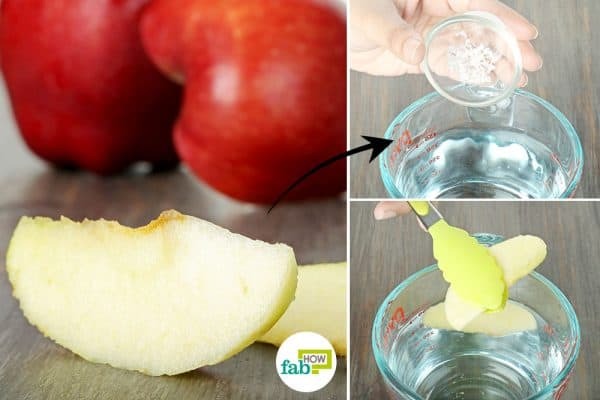 Your fruit will stay fresh for 6 to 8 hours with this method. To prevent cut fruit from browning, you can also buy a commercial product known as Fruit-Fresh or citric acid powder. Both ingredients help increase the acidity of the fruit and interfere with the oxidation process, so your sliced fruit stays fresh longer. You can find them near the canning supplies in your local stores. 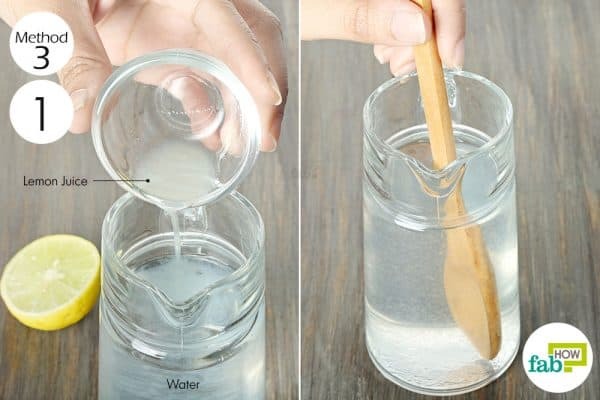 Start with 1 cup of cold water in a container. Add 1 teaspoon of citric acid powder or Fruit-Fresh. If you have more slices, increase the quantity of water and the powder proportionately. Stir well until the powder dissolves. Dunk the fruit slices into the solution for 5 minutes. Since the slices will float on top, push them down with a spoon so all the sides are covered with the solution. Use tongs to remove the slices from the solution and store them in a ziplock bag or an airtight container. The slices will be fresh for at least 4 to 5 hours. If you do not want to alter the taste of your fruit at all, simply dunking the slices in cold water will also give you decent results. The cold water works by forming a protective layer over the cells that are damaged when the fruit is cut and preventing exposure to air that leads to browning. The cold temperature also shrinks the damaged cells to reduce the surface area subject to oxidation. Drop the slices into the water and let them soak for 5 minutes. Transfer the slices from the water into a ziplock bag. Squeeze out all the air and seal the bag. Vitamin C tablets can also be used to help delay the browning process. The oxygen in the air reacts first with the vitamin C before it can reach the enzymes in the fruit and lead to oxidation. You can buy the common chewable vitamin C tablets from a health store. 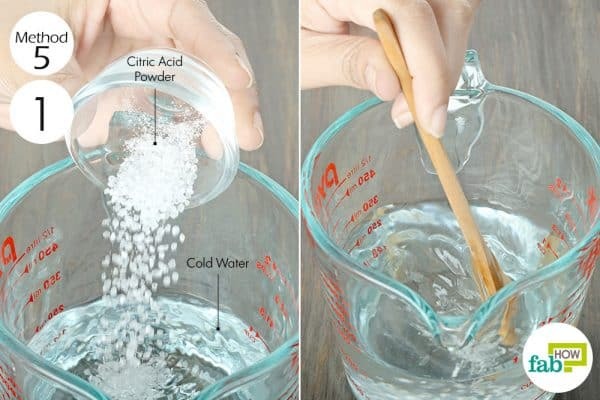 Pour 1 cup of cold water into a container. Add 1 crushed vitamin C tablet to it. Stir well until the powder dissolves completely in the water. Pour the vitamin C solution over them. Let the slices sit in the solution for 5 minutes. Remove them from the citrus solution and store them in a sealed ziplock bag until needed. To minimize the browning, cut your fruit with a sharp paring knife. This will reduce the cellular damage from slicing, thus preventing the fruit from turning brown quickly. Instead of just soaking the slices in cold water, you can also store apple or pear slices in the water itself. This will not only prevent them from browning but also preserve the crunchy texture. You can also soak apple slices in a mix of apple cider vinegar and lemon juice. Mix the two liquids in a 2:1 ratio and soak the slices for 5 minutes. The apple cider vinegar will also help enhance the flavor of the apples. A smart way to get your kids to eat more fruits is by making delicious chocolate-covered strawberries at home. You can also dip other fruits like bananas and cherries or even nuts like almonds or groundnuts in melted chocolate to make healthy snacks that everyone can enjoy. Bananas are a highly nutritious food that should be a part of your regular diet. Yet, more often than not, you buy an entire bunch for consumption only to discover that half of the fruits have either become overripe or turned black and mushy. You can learn the proper way to store them right here. You can use your carefully preserved apple and pear slices to decorate this classic layered honey cake with caramel filling.